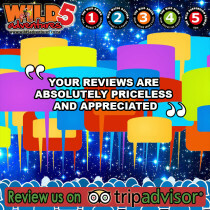 We love hearing from our guests and seeing your awesome videos and pics. 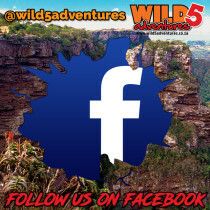 Make sure you like and follow Wild 5 Adventures on Facebook to share them with us! This entry was posted in Announcements and tagged abseil, adrenalin, adrenaline, adrenaline junkie, adventure, amanzimtoti, bungee jump, durban holiday, durban tourism, facebook, family fun, follow, fun, get connected, holiday fun, leading, like, look us up, margate holiday, outdoor activities, outdoor activity, outdoor fun, platform, port shepstone, share, social media, south africa, south coast holiday, south coast tourism, uvongo, what to do durban on February 14, 2018 by Wild 5 Adventures. South Africa you have been challenged! We want to see which PROVINCE is the bravest! Are you ready to represent? It’s time to put this age old battle to bed and truly see which province has the bragging rights to say they are the bravest in South Africa. This entry was posted in Announcements and tagged abseil, adrenaline junkie, amanzimtoti, best province, braai, bravest, bungee, bungee jump, challenge, durban holiday, durban tourism, eastern cape, family, free state, friends, friendship, fun, gauteng, jhb, joburg, kom ons braai, kwazulu natal, kzn, limpop, margate holiday, mpumalanga, north west, northern cape, oribi gorge, outdoor fun, patriotic, pretoria, pta, rafting, rugby, south africa, south africa province, south coast holiday, southbroom, suspension bridge, swing, water rafting, western cape, what to do durban, what to do margate, who is the bravest, wild swing, zipline on November 30, 2017 by Wild 5 Adventures. The Wild Swing at Wild 5 Adventures in Oribi Gorge is a must do for all adventure seekers! 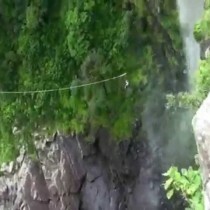 Witness this epic jump in a video created by one of our guests. This entry was posted in Wild 5 Adventures and tagged adrenalin, adrenaline, adrenaline junkie, amanzimtoti, boyfriend, bungee jump, charne munien, cliff, durban holiday, durban tourism, epic, family fun, friends, fun, jump, margate, margate holiday, oribi gorge, outdoor activities, outdoor fun, ramsgate, road trip, south coast holiday, south coast tourism, southbroom, uvongo, video, what to do durban, what to do margate, what to do south coast, wild swing on October 6, 2017 by Wild 5 Adventures. 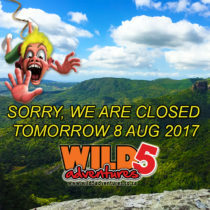 Please take note that Wild 5 Adventures and the view sites will be CLOSED tomorrow for our monthly maintenance. Don’t worry we will be up and running again on the 9th of August just in time for Woman’s Day! This entry was posted in Announcements and tagged abseil, adrenalin, adrenaline, adrenaline junkie, adventure, amanzimtoti, best, best holiday, bungee jump, closed, durban, durban holiday, durban tourism, family, family fun, friends, fun, holiday, holiday fun, kzn, margate, margate holiday, south coast tourism, what to do durban, what to do margate, what to do south coast, what to do southbroom, wild 5, wild 5 adventure on August 7, 2017 by Wild 5 Adventures. 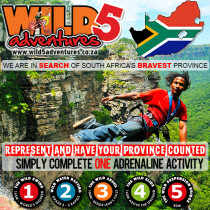 Celebrate Woman’s Day with Wild 5 Adventures this year! Half price for all ladies! Woman’s Day is a public holiday, so what are you waiting for, plan a trip with your best girlfriends and earn your #BraggingRights by jumping off of the World’s HIGHEST Gorge swing in the WORLD! 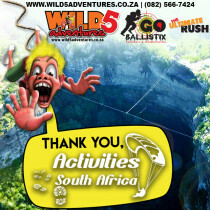 This entry was posted in Announcements and tagged abseil, adrenaline junkie, adventure, best, bragging rights, bungee jump, celebrate, durban tourism, experience, fun, girl power, girlfriends, girls, oribi gorge, outdoor activities, outdoor fun, public holiday, ramsgate, southbroom, uvongo, what to do, what to do durban, wild 5 adventures, womans day on July 12, 2017 by Wild 5 Adventures. You must watch this amazing drone footage over Wild 5 Adventures. See Lehr’s Falls like never before with this awesome bird’s eye view! A special shout out and thanks got to Karl Bunge for this amazing drone footage. 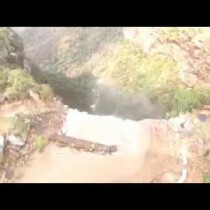 This entry was posted in Wild 5 Adventures and tagged adrenalin, adrenaline, adrenaline junkie, adventure, awesome drone, awesome footage, best, birds eye view, bungee jump, drone, drone footage, durban holiday, durban tourism, family, fantastic, footage, full swing, fun, holiday, holiday fun, karl bunge, lehr's falls, lehrs waterfall, oribi gorge, outdoor activities, outdoor activity, outdoors, port shepstone, ramsgate, south africa, south coast holiday, south coast tourism, southbroom, uvongo, video, what to do durban, wild 5 adventures on July 5, 2017 by Wild 5 Adventures.